In April 2009, Stéfan Le Dû started publishing one Stormtroopers photo on his Flickr account. He would do so for the following year. His project was titled Stormtroopers 365. Until today, his album has been viewed 1,596,919 times on Flickr, and has also been publicized on Twitter, Facebook, through email and RSS feed. The large number of comments on each photo attests to the project’s popularity; the photographer’s work was also featured on various blogs. 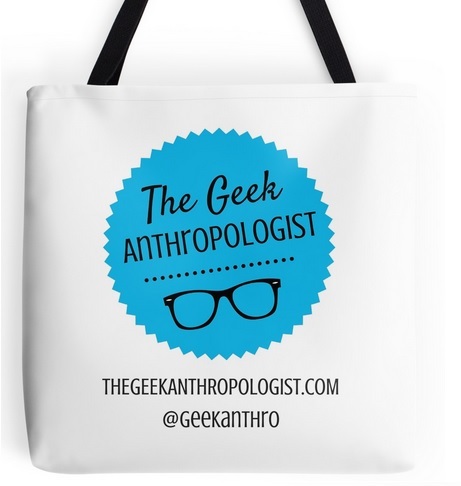 He graciously accepted to answer a few questions about his project for The Geek Anthropologist. How did you get the idea for this project? Why did you choose to use Stormtroopers, and why a picture a day? I chose the Stormtroopers for their anonymous character. In the original trilogy, Stormtroopers are both the most numerous characters and the ones we know the least about. They barely ever talk, they die with one blaster shot, and we never see them without armor. It amused me to imagine different situations with these anonymous of the Star Wars saga. The idea to do a photo a day for a year simply came to me when I saw similar projects on Flickr. The marathon side of it is fun. To say the truth, I wasn’t certain at all to reach the end of it when I started. What are the main difficulties of such a project, and what were the aspects you most appreciated? The hardest part is to respect the publication rhythm that you imposed yourself on such a long period. Taking the photos doesn’t necessarily take a lot of time, but you have to find the ideas fast enough to not end up dry. What I appreciated was to see, after a few weeks, a considerable increase in the readership of the series. Having a good number of comments on the images every day encouraged me to continue. And I think the daily publication allows to create interest for the visitors: if I had done all the 365 photos and published them all at once, it is obvious that the series would have gone much more unnoticed. The daily episode is lighter and creates a link with the readers. Did the experience reveal itself to be different from what you expected? Where did you find your inspiration for the photos? Did you plan ahead? To avoid interruptions in the daily rhythm, I did have a stock of ideas ready in advance. In the last weeks of the project, that stock was dangerously low. On the final, I worked pretty much day-to-day. My sources of inspiration are many: expect for having the two Stormtroopers are the main characters, there wasn’t really any rules. For some photos, I played with scales, the contrast between the 12 cm figurines and objects inside my house ; others are based on references to Star Wars or other movies; some worked with any character, Stormtroopers or not, from Star Wars or not. After the Stormtroopers 365 series, I did another with a more restrictive subject. In 52 weeks with the Fetts, I created scenes with Jango et Boba Fett, and played exclusively on the father/son relation, avoiding gags about the size of the figurines. I had a lot more trouble finding these 52 ideas, and the project ended up lasting longer than the 52 weeks I had originally planned for. What reactions did you get to your photos? What amused me the most was to read the comments from people indicating that they didn’t particularly like Star Wars but that they enjoyed watching my photos. In the end, it was a series made by a Star Wars fan for other fans. In general, all the positive reactions really encouraged me to go all the way to the end of the 365 days. That said, I find some reactions disproportionate and I am a bit uneasy because I feel I stole success from others who deserve it more. If you had to pick your favorite photos, which would they be? Ikea Troopers, Imperial Spam Campaign, Let the wookiee juggle, Carbon-free transport, Sleeping again ? !, “Armored shock troops of the Empire”, Behind the scenes (which shows how the series is done, in this case the the following image), and the M&M’s Painter. Why do you think Stormtroopers are used for more and more photo and video remixes in popular culture? I suppose it’s due to what they represent, the police state side, the anonymous authority, as well as their character design, which hasn’t taken a wrinkle in 35 years. It’s pretty rare; there are many designs from science-fiction films from the 70-80s that have aged badly. Those from Star Wars are very timeless, it’s a wonder if they will ever start looking silly. I imagine you are a Star Wars fan? What importance does it have in your life? I think I am a moderate fan. I don’t spend fortunes in Star Wars collectibles (to say the truth, apart from the figurines I used in my photos I don’t own much). I am not the extremist kind of fan who thinks George Lucas destroyed his masterpiece simply because he added eyelids with digital imaging in the blue-ray edition of Return of the Jedi. I think many fans forgot that Star Wars is entertainment, in the end, not a sacred masterpiece. Do you consider yourself a geek? A Nerd? Something else? I may be mistaken, but I have the impression that nerd and geek are two faces of a same type of character, except the geek is seen as cooler these days, and the nerd is more of a dork. Infographics on the web relate this. I have in memory this image of the guys from chess club, in this series “saved by the bell“: big glasses, pants too short and worn higher than the bellybutton, and incapable of anything else than playing chess. To me, that’s the image of the nerd. So of course, everyone prefers to be considered a geek rather than a nerd. It’s a bit less shameful. Even if when looking from the outside, it’s not so easy to differentiate them. You can view Stormtroopers 365 on le Dû’s Flickr account. You should also have a look at his other Star Wars related projects, such as 52 weeks with the Fetts, Star Wars Rocks and The Return of the Stormtroopers Stikes Back. I find Admiral Ackbar’s Lessons very funny. Let’s conclude with my favorite photo by le Dû! As an avid Darth Vader collector, I can only thank you for introducing Le Clown to Stéfan Le Dû. Et maintenant ? Now, stay tunned for other interviews with photographers who use Stormtroopers in their work! Thanks so much! My favorite is the very last, Toy Freedom!